Dialogue or Dictating to Iran? U.S. President Barack Obama continues to make intriguing gestures in the Middle East that seem to soften or even reverse the policies of the George W. Bush administration, the latest being his video taped message to the Iranian people and leaders on the occasion of the Nowruz holiday that ushers in Spring. Obama should be commended for his initiative, which started from his first moments in office when he made a gesture to the people of Iran during his inaugural address. He made this intriguing gesture in the context of his administration earlier this month extending sanctions against Iran for one more year, on the basis that Washington sees Iran as posing a threat to U.S. national security. If sticks and stones speak louder than words, the American sanctions against Iran would seem to convey a much tougher posture than the reconciliatory video message. This would seem to be the first contradiction the United States needs to sort out in its overtures to Iran. Another one is the tendency to reach out with happy words that preach friendship and mutual respect, while also laying down the law on what Iran must do if it wants to be invited for tea at the White House. Obama said the United States wanted Iran to take its “rightful place in the community of nations,” but he also laid down some markers for Iran’s behavior, noting that Tehran would have to do its part to bring about reconciliation. “You have that right — but it comes with real responsibilities, and that place cannot be reached through terror or arms, but rather through peaceful actions that demonstrate the true greatness of the Iranian people and civilization,” he said. We should not underestimate the courage and self-confidence it took for Obama to move in this direction and to make several gestures towards Iran since taking office. He reflects real strength, political realism and much humility in being able to reverse many aspects of the belligerent Bush approach and instead to reach out to Iran. It is difficult to see how Washington feels the positive gestures of reaching out can be reconciled with the American president’s irrepressible need to lecture others about the rules of righteous nationhood. One of the principal complaints that Iran has against the United States — and this is mirrored in widespread Arab and Islamist resistance to the United States and its allies — is the lingering colonial tendency by the leading Western powers to feel that they write the rules for the conduct of other nations. This complaint is exacerbated by hearing the Americans warn against the “ability to destroy” and the danger of using “terror or arms” — while Washington sends hundreds of thousands of its troops around the world on destructive yet dubious missions, backs its allies in various Arab countries with a gusher of arms, and enthusiastically stands by Israel in the latter’s actions in Lebanon and Palestine in what many see as a policy of state terror. The American gestures to Iran seem sincere and serious, but from the Iranian perspective they still suffer from the persistent structural weakness of dictating the rules of the game to Iran and others in the Arab-Asian region, rather than engaging in a genuine dialogue. This flaw should not detract from the constructive effort that the Obama administration is making or blind us to the real shifts it has already initiated. At some point, though, Obama has to decide if he wants to dictate rules, or engage in real dialogue, because the two cannot happen together — especially if the standards of behavior the United States wants to see from Iran are often ignored by Washington itself along with its closest allies, such as Israel. We can celebrate Nowruz together and usher in a genuinely new Spring, or we can soon celebrate April Fool’s day, but in the world of diplomacy and political relations we cannot do both at the same time. Bench outside of the Peace Palace at The Hague. No hand, but a step forward. Please click here for the full report in English. Speech by Iranian Supreme Leader Ali Khamenei to a gathering at the Imam Reza shrine in Mashhad, on the occasion of Nowruz, the Iranian New Year. Regarding the foreign affairs of our country, I would like to mentions one point, and that is the issue between us and the United States. One of the main challenges for the Revolution, right from the beginning, was the same issue. Right from the first day of the Revolution’s victory, a phase was opened for the Iranian nation, as a major test in its relations and interactions with the government of the United States of America. This major and important test continued for the past 30 years. The US Government faced this Revolution with an angry and frowning face, and opposed us from the beginning. Of course, they had the right to do so, considering their own calculations. Before the Revolution, Iran was in the hands of the United States, its vital resources were in the hands of the United States, its political decision-making centers were in the hands of the United States, decisions to appoint and depose its vital centers were in the hands of the United States, and it (Iran) was like a field for the United States, the US military, and others on which to graze. Well, this was taken away from them. They could have expressed their opposition in not such an aggressive manner. But from the beginning of the Revolution, both their Republican presidents, and the Democrats, did not behave well toward the Islamic Republic. This is not secret from anyone. Pay attention, the first measure taken by the United States was to provoke the scattered opposition groups of the Islamic Republic, and to support terrorism and disintegration in the country. They started this right from the beginning. In any parts of the country, where there were grounds for disintegration, the United States had a hand, we noticed their money, and at times their agents. This cost our people much. Unfortunately, this continues. The bandits in the Iran-Pakistan border areas, we know that some of them — as we have their voices (as received) — are in touch with Americans. They have wireless communications, and take orders from them. Bandits, terrorists, murderers, are in touch with US officers in a neighboring country. Unfortunately, this still goes on. This was the beginning of what they started. Then it was the confiscation of property and goods belonging to Iran. The former regime gave a large amount of money to the United States to buy airplanes, helicopters, and weapons from them. Some of them over there were prepared, and when the Revolution took place, they did not deliver them. They did not give back the money, which amounted to millions of dollars. And the strange point is that they kept these goods in a store, and considered storage charges for it, which they claimed from the Algeria Agreement. To take away some goods from a nation, confiscate them, and fail to deliver them, and then claim storage charges for it! This is the kind of behavior started then, which continues. Our possessions are still there. They belong to the Iranian nation. They are in the United States and also some European countries. We referred to them over the past years, and asked them to give us what belongs to us and what we paid for. They said that since they are under the license of the United States, the United States does not allow them to do so; they cannot return them to us, and they are still there. They showed Saddam (late Iraqi president) a green light. This was another plan by the US Government to attack Iran. If Saddam did not have the green light from the United States, he would have not attacked our borders. They imposed eight years of war on our country. About 300,000 of our young people, our people, were martyred in this eight-year war. In these eight years (Iran-Iraq war), particularly in the last few years of it, the United States constantly supported Saddam and helped him financially, with ammunition, and political advice. They provided him with satellite information. They had information facilities. They recorded the movements of our forces by satellite, and transferred this information the very same day to Saddam’s HQ to use against our young people and forces. They (the United States) closed their eyes to Saddam’s crimes. The Halabcheh (southern Iranian town bordering Iraq) incident took place, hitting various towns of our country with missiles. They destroyed houses, they used chemical bombs on the frontlines, they still closed their eyes. They did not object at all. They helped Saddam. This was another one of the acts of this government over the years toward our country and our nation. Then, please pay attention; there is a lot of time for chanting. Toward the end of the war, a US officer hit our airplane on the Persian Gulf with a missile from a warship. Some 290, about 300, passengers were in this plane, and they were all killed. And then, instead of punishing that officer, the US President of that time awarded that officer and gave him a medal. Now, should our nation forget this? Can it forget?They supported criminal terrorists who killed men, women, people, great scholars, even little children in our country. They (the United States) allowed them (terrorists) to be active in their country. They constantly released aggressive propaganda against our country. Constantly! In the past years, US Presidents, particularly during the eight years of the former president (referring to President George W. Bush), whenever he said something against the Iranian nation, against our country, against our officials, against the Islamic Republic system, he said something absurd and nonsensical. He did not respect the Iranian nation. It was always like this over the years. They disturbed the security and peace in our region, security in the Persian Gulf, Iraq, and Afghanistan. They brought massive quantities of weapons to the regional countries, in order to stand against the Islamic Republic, in fact to fill the pockets of armaments factories. They unconditionally supported Israel, the cruel Zionist regime. You witnessed one example of its (Israel’s) cruelty in Gaza in the past two, three months. What a disaster they created. How many children they killed, how many men and women they killed. In 22 days they killed 5,000 people in Gaza with bombardments, missiles, and direct shootings. In the meanwhile they supported it. The US Government supported it until the very last moment. Whenever the Security Council wanted to issue a resolution against the Zionist regime, the United States stepped forward and defended (Israel), and did not let it happen. It (the United States) threatened our country on any occasion. It constantly said that it will attack us. They said that they had a military plan ready on the desk, they will do this, and they will do that. They constantly talked against our country and threatened our nation. Of course, these threats did not affect our nation, but they showed their enmity by doing so. They insulted the Iranian nation, the Iranian government, and the Iranian president, over and over again. Some years ago, an American said that the Iranian nation must be eradicated. In the past few years, a US official said that a nice and moderate Iranian is one that was killed, who is dead. They insulted this great and honorable nation, the nation whose only fault is to defend its identity and independence in such ways. They imposed sanctions on our country for 30 years. Of course, these sanctions were in our benefit. With this regard, we must thank the United States. If they had not imposed sanctions on us, we would have not reached this level of science and progress. Sanctions constantly made us aware, made us think about ourselves, and be innovative. But they did not mean to serve us like this. They wanted to be antagonist. This is how they treated the Iranian nation for 30 years, and now the new US Government says that they would like to negotiate with Iran, that we should forget the past. They say that they extended their arm towards Iran. What kind of a hand? If it is an iron hand covered with a velvet glove, then it will not make any good sense. They congratulate the Iranian nation on the occasion of the New Year (Iranian New Year started 20 March 2009), but in the same message call the Iranian nation supporters of terrorism, who seek nuclear weapons, and accuse it of such things. I would like to say that I do not know who makes decisions for the United States, the President, the Congress, elements behind the scenes? But I would like to say that we have logic. Since the beginning, the Iranian nation moved with logic. Regarding our vital issues, we are not sentimental. We do not make decisions based on emotion. We make decisions through calculation. They tell us to negotiate, to start relations. They have the slogan of change. Where is the change? What has changed? Clarify this to us. What changed? Has your enmity toward the Iranian nation changed? What signs are there to support this? Have you released the possessions of the Iranian nation? Have you removed the cruel sanctions? Have you stopped the insults, accusations, and negative propaganda against this great nation and its officials? Have you stopped your unconditional support for the Zionist regime? What has changed? They talk of change, but there are no changes in actions. We have not seen any changes. Even the literature has not changed. The new US President, from the very moment of his official appointment as President, made a speech, and insulted Iran and the Islamic government. Why? If you tell the truth, and there are changes, where are these changes? Why can we see nothing? I would like to say this to everyone. US officials should also know that the Iranian nation cannot be fooled, or scared. What is the reason behind this hatred? Have you ever studied this? Analyzed it? Have you learnt from it? The reason is, that you treat the world like a pupil, you talk snobbishly, you want to impose your own will on the world, you interfere in the affairs of other countries, and you implement double-sided criteria. 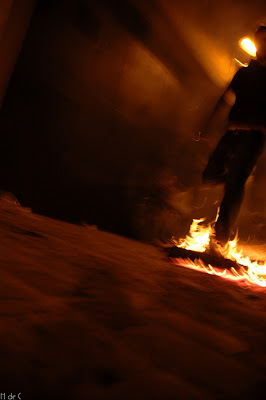 When a young Palestinian is forced to perform some act of martyrdom, because of the pressure he is under, you bombard him with a mass of propaganda, and on the other hand you ignore the crimes of the Zionist regime, while it creates such a disaster in Gaza for 22 days. You call that young man a terrorist, and you say that you are committed towards the security of such a terrorist regime. These are the reasons that they hate you around the world. This is advice to you. For your own benefit, for your own good, for the future of your country, restrain from your snobbish attitude, hegemony, and your lecturing attitude. Do not interfere in the affairs of other nations. Be happy with your own rights. Do not define benefits for yourself in various parts of the world. You will see that the United States will gradually lose its hated image in the world. These deed have made you hated. Listen to these words. This is my advice to US officials, the President, and others. Listen well to these words, and have them translated for you. Of course, do not give it to the Zionists to translate for you. Consult healthy people, and seek their opinions. If the US Government continues its same behavior, method, course, policies against us, as in the past 30 years, we are the same people, the same nation that we were for the past 30 years. Please pay attention. If you go on with the slogan of discussion and pressure, saying that you will negotiate with Iran, and at the same time impose pressure, threats, and changes, then our nation will not like such words. We do not have any experience with the new US President and Government. We shall see and judge. You change, and we shall change as well. If you do not change, our people became more and more experienced, stronger, and more patient in the past 30 years. Compiled and distributed by NTIS, US Dept. of Commerce. MR. WOOD: Happy Friday, everyone, happy spring. I’m going to start off with a couple of announcements. MR. WOOD: Happy Nowruz. This one is on Bosnia. …And with that, I will take your questions. QUESTION: What do you make so far of the Iranian reaction to the President’s video message? QUESTION: Robert, can I ask you a question about the statement on Madagascar? How much money is involved in the suspension? MR. WOOD: Charlie, we’re working to get the figures for you right now, and we’ll hopefully be able to give you that a little bit later today. MR. WOOD: No, that’s a good question. MR. WOOD: We’re working on it. QUESTION: Yeah, your – what do you make of the Iranian reaction thus far to the President’s video message? MR. WOOD: Well, I haven’t really seen much in terms of the Iranian reaction to it. We will – I will see more as the day goes on. But I think the importance of this message was that the President said that we are going to engage in direct diplomacy with Iran. We’re interested in working with the Iranian people, the Iranian Government to improve the relationship. There are still a lot of difficult issues that remain between us, but we’re willing to work through them if the Iranians are willing to work with us. So, you know, I’ll probably have more to say about the Iranian reaction once I have a fuller understanding of how they responded to it. MR. WOOD: No, I don’t have anything more than what I said yesterday, but we’ll certainly keep you abreast if there are changes to that. James, haven’t seen you in a while. Good to see you. QUESTION: Good to be back. Robert, is the American policy toward Israel under review? MR. WOOD: No, our policy toward – are you talking about something specific? QUESTION: You’ve talked about how the policy in Afghanistan is under review, the policy toward North Korea is under review, Iran is under review. Is the policy toward Israel under review? MR. WOOD: No, our – look, we have a longstanding, very good relationship with the Government of Israel. We’re – as I said several days ago and I think a couple weeks ago as well, we’re waiting for there to be an Israeli government in place. We look forward to working with that new government on trying to move the peace process forward. And that’s where we’re at. QUESTION: The reason I ask is because that was an element of the Iranian response which the spokesman for President Ahmadinejad stated specifically. The American Government, he said, should realize its previous mistakes; supporting Israel is not a friendly gesture. But you don’t intend to diminish your support for Israel in any way? QUESTION: And another element of the response I want to bring up with you: The spokesman for President Ahmadinejad said that unlimited sanctions against Iran, which still continue and have been renewed by the United States, are wrong and need to be reviewed. How was it that the Administration could make that determination about the need to extend those sanctions against Iran amid an overall policy review toward Iran that is still underway? MR. WOOD: Well, our concerns about a number of – our concerns about Iranian behavior in a number of areas are still there and is still there. And that hasn’t changed. We want to engage with the Iranians to try to resolve some of the differences between us, but those difficult issues remain. And we look to work with the Iranian Government to try to resolve them. We’re willing to reach out our hand to the Iranians, as the President and the Secretary have said. But some of those issues, like its nuclear program, it’s not just a concern to the United States; it’s a concern to the larger international community. Iran’s behavior with regard to Iraq, with regard to Hezbollah, Hamas, remain concerns. And so that hasn’t changed. The fact that we want to reach out to Iran, I don’t see a contradiction there. But those concerns remain, and they need to be dealt with. QUESTION: Robert, on that message, since public diplomacy is what this building does, did the State Department have any input into that message, and do you know who originated the idea for doing it? QUESTION: But did it help to craft that message, or was it strictly the White House? MR. WOOD: Honestly, I don’t know where – you know, who had a role in providing language or editing it. I don’t know. But you can – certainly it’s fair to state that the State Department was involved with the crafting of the message in some fashion. I just can’t tell you how. QUESTION: While reaching out to Iran, Israel still considers Iran to be a primary threat. Can that be sort of a source of friction between the U.S. and Israel? MR. WOOD: No, I don’t see any source of friction. Iran’s behavior is what both the Government of the United States and the Government of Israel are concerned about. It’s about Iranian behavior that all of us in the international community are concerned about. So no, I don’t see any differences. We share that view. What we have said is that we want to engage the Iranians diplomatically to try to bridge some of these differences. But a lot of concerns remain. QUESTION: As we pursue a diplomatic route with Iran, can we assume that sort of the Palestinian-Israeli issue will take on a higher priority, it will become issue number one for the U.S. Administration in the Middle East? MR. WOOD: Well, it is a high priority. We’ve been working trying to bring about a two-state solution for quite some time. We’re going to continue to push that. It remains a priority. We have a number of priorities in the Middle East, but certainly the Israeli-Palestinian conflict is definitely right up there at the top. MR. WOOD: Well, that’s a very legitimate question. I think we will be able to respond to that much more fully once the review is completed. And I do expect that that review will be completed, you know, in the very near future. And so let’s wait and see. But obviously, this President is committed to direct engagement with Iran, and this is one example. There will be other examples, but I don’t want to get ahead of the process right now. But I would just say stay tuned. QUESTION: Obviously, I mean, the review didn’t forestall making – taking this step. MR. WOOD: Well, certainly, I’m not going to preview it here for you. Let’s see, there will be future steps, and we will certainly make all of you aware of them. But I’m not going to get ahead of the process right now. MR. WOOD: My understanding is that the invitations are being issued by the UN, along with the co-sponsors of the conference, meaning the Government of the Netherlands and the Government of Afghanistan. QUESTION: (Inaudible) question. The U.S. Government has been saying, okay, we’re waiting – we’re making the overtures, we’re extending our hand and we’re waiting for a sign from Iran. What kind of a sign are you waiting for them to – for them to show their willingness? MR. WOOD: Well, we’re waiting for Iran to reach its hand out and, you know, express its willingness to engage with the United States. MR. WOOD: They’re also – right. But you know, it’s important – again, we’re at the beginning of this process. The President has clearly – made it clear that we are going to engage diplomatically with Iran. We intend to do that. It will be up to the Iranians how they want to reciprocate. But I also want to emphasize that we still have some very difficult issues that divide us. And what the President has said is that we want to work with Iran on trying to deal with these differences. We’re willing to diplomatically engage. It’s really going to be up to Iran. I can’t give you a specific thing that Iran needs to do. But certainly Iran is aware of our concerns. It’s certainly aware of our willingness to engage diplomatically. And we’ll just have to see what comes from that. QUESTION: Can I follow up on the language in the message in which the President said that the process will not be advanced by threats? What is the meaning of that? MR. WOOD: Well, I think what the President was trying to say is that, you know, threats that have been made by the Government of Iran against Israel, you know, threats against neighbors, that type of thing, doesn’t advance dialogue and peace in the region. And again, the President is extending the hand of the United States to the government and people of Iran. You know, Iran has a very proud culture, a very deep and rich culture. We obviously want to work with the people of Iran on a whole host of issues. But again, making threats, that’s not the language of dialogue, and that’s what he was getting at. QUESTION: And so that language was directed toward Iran and no other party? Was it directed at the United States itself? Was it directed at any other party? MR. WOOD: Look, the United States has not been making threats. I think you’ve seen threats coming from Iran on a number of subjects. And what the President was trying to say is that let’s get beyond this threatening language, let’s try to work together to resolve our differences, and that the United States is willing to reach out and engage. QUESTION: Saying stop your nuclear program or we’re going to proceed with sanctions is not a threat? MR. WOOD: Look, this – Iran’s nuclear program is a concern to not just the United States, it’s a concern to a number of countries. We’ve offered Iran a package of incentives. When I say we, I mean the P-5+1. And we want Iran to take up that offer. That’s not a threat. That’s an offer. And that’s what we’ve been saying to Iran for quite some time. And that package of incentives is important and should be looked at by Iran. But as I said, that’s not a threat. That was an offer. QUESTION: Isn’t the package carrots and sticks? Sticks probably being a threat that if you don’t follow through with what we’re asking for. MR. WOOD: Well, all I can tell you is that we have, with our partners, tried to reach out and deal with this issue diplomatically. That’s what we want to do. We’re not in the process of threatening Iran. But clearly, you know, this issue is not going to go away. We want Iran – if Iran is interested in peaceful nuclear energy, the international community can make provisions for that. But there are a lot of suspicions about what it’s trying to do with its nuclear program. And what we’re trying to do is resolve it diplomatically. You know, Iran is under a number of Security Council resolutions, and it needs to comply with those resolutions. No secrets there. So I don’t view it as the United States making threats. This is the international community calling on Iran to live up to its obligations. Sooner or later, the U.S. president must move to specifics with Iran. 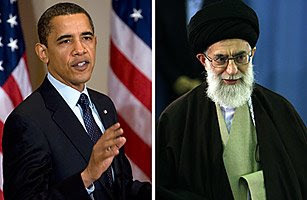 Obama’s message is in marked contrast to George Bush’s inept call for Iranians not to vote in the 2005 presidential election, when Tehran state TV relayed his words again and again in order to draw people to the polls. Now Iran will ask, where’s the beef? This was a predictable response. Until serious negotiations begin, both sides will continue to reiterate how the other should change. The most pressing issue, which has led to the tightening of sanctions against Iran in recent years, is the nuclear one. And here there are certainly no signs of any change in the U.S. position. Gordon Brown’s speech on Tuesday at Lancaster House in London, repeated the demand, shared with the U.S., that Iran suspend or even end its uranium enrichment, the most sensitive part of its nuclear programme. Brown knows perfectly well that Russia has itself enriched the uranium for Bushehr and will subsequently remove the spent nuclear fuel – and that therefore Tehran does not see Bushehr as an alternative to its own enrichment of uranium in a self-sufficient atomic programme. Indeed, Iran has never wavered in its insistence that it has the right not just to a nuclear programme but one in which it enriches its own uranium. Although Tehran did suspend enrichment during talks with the European Union between 2003 and 2005, it made clear this was temporary, what Iran called a “good will gesture” and what its enemies and critics called playing for time. But Iranian officials at that time made repeated references to their willingness to compromise. Various accounts surfaced – from both Tehran and from European diplomats – of discussions of a compromise in which Iran would agree to limit, but not to end, its uranium enrichment. In other words, Iran would restrict the number of centrifuges it used for the enrichment process to what was called “laboratory level” enrichment. This would be done under full UN inspection, including the snap-inspection system of the Additional Protocol of the Nuclear Non-Proliferation treaty (Iran has not implemented the protocol since 2006, when the UN’s International Atomic Energy Agency referred it to the UN security council). The beauty of the idea – it was never officially formulated – is that it would allow the Iranian leadership to claim “victory” because the west would have recognized its “absolute” right to nuclear technology. But it would also impose limits on Iran’s programme, which today continues to expand, and it would bring the programme under far closer UN supervision. Iran’s critics – especially in the American right and in Israel – would resist such an agreement on the grounds that it accepts Iran’s mastery of enrichment technology. They point out, quite rightly, that the same methods used to enrich for energy can be used to manufacture a bomb. 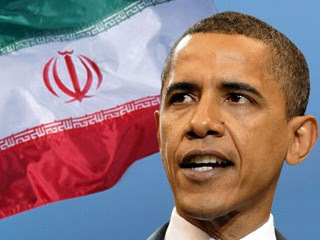 But sooner or later, if Barack Obama is serious about engaging Iran, he will have to decide whether he is prepared for such a compromise over the nuclear issue. He may well decide that other areas offer a better earlier chance of progress: co-operation over Afghanistan and Iraq, where the two sides have clear common interests, is the obvious choice. Obama may have already decided that some kind of engagement with Syria, even if it leads nowhere, can deliver a “peace process” that itself seems like a foreign policy success. He may also have already decided to leave any real initiative over Tehran until after June’s presidential election, which may help clarify the balance of internal forces in Iran. But if engagement is really to succeed, Obama will sooner or later have to grasp the nuclear nettle. You are currently browsing the archives for the Norouz category.